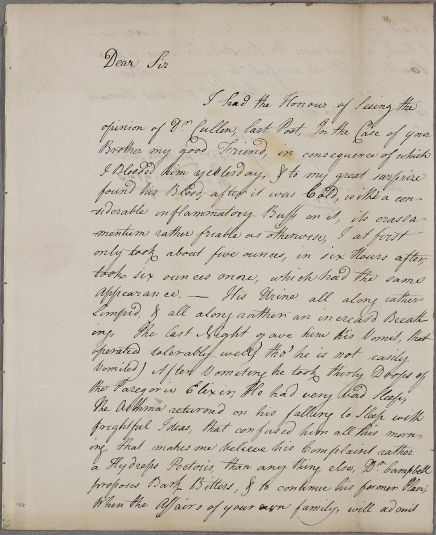 Letter from James Douglas to Robert Hunter, concerning the case of Hunter's brother James. Douglas describes bleeding the patient, and mentions seeing 'the opinion of Dr Cullen, last Post'. 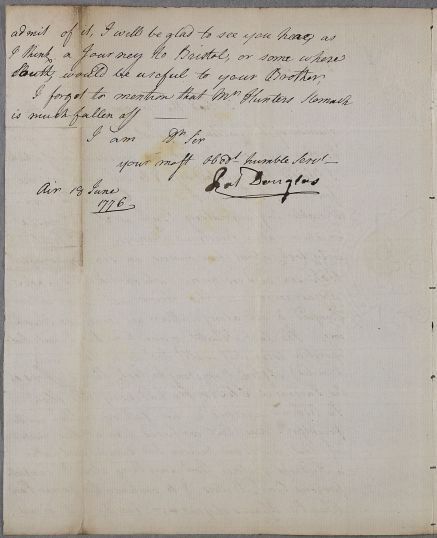 Summary Letter from James Douglas to Robert Hunter, concerning the case of Hunter's brother James. Douglas describes bleeding the patient, and mentions seeing 'the opinion of Dr Cullen, last Post'. 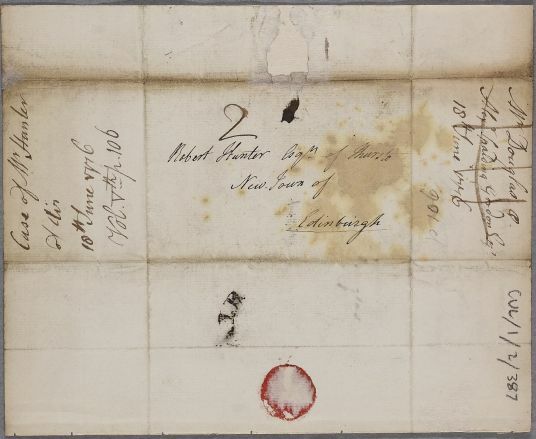 Case of James Hunter of Thurston (brother of Robert) whose catarrh turns to asthma and dropsy and who is advised to travel south.